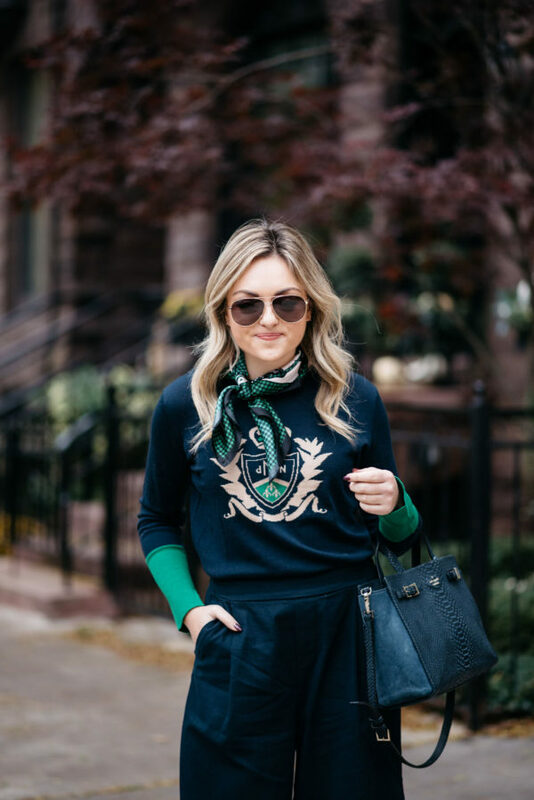 I’ve been ALL ABOUT the wide leg pants lately… They’re so surprisingly flattering, comfortable, and feel so fresh compared to the skinny pants we’ve been wearing on repeat for the last few years. I got these pants at Old Navy a few years back and I’ve kept them in my closet throughout multiple cleanouts because I really loved the fit, even though I didn’t wear them all that often. 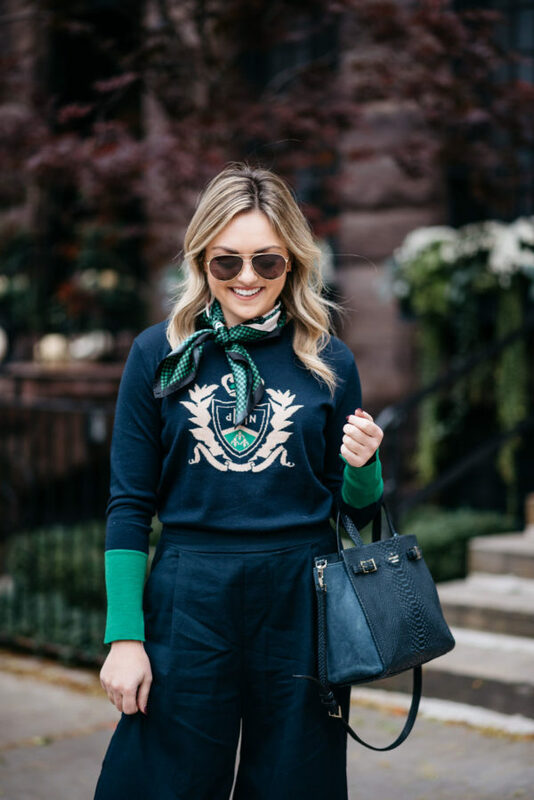 Fast forward to this spring and wide leg pants are everywhere! I’ve mentioned this a few times, but I recently picked up these wide-leg cropped pants from Everlane and have been *obsessed* with them, too. They’ll be on the blog soon! So, yeah, if you haven’t picked up a pair of cropped wide leg pants this year, now’s the time. Bonus points if they’re high-waisted! I’ve decided to call it the Steakhouse Salad, mostly because I’m extremely creative and it mimics what I order when I’m at a steakhouse. It’s super easy to make at home, too, not just at the Whole Foods salad bar. Great for dinner or to BYO lunch to work! If you want to add a protein, I’d go for grilled steak strips! *Typically, I’d avoid blue cheese dressing, but it surprisingly has fewer calories than the ranch dressing at the salad bar at Whole Foods. (I believe this is the recipe!) I don’t use a whole lot, but IMO, it’s a great alternative for me with flavor versus adding any actual cheese to my salad. I’m really love your wide leg pants! They’re so chic! I marinate mushrooms at home all the time! Get some foil, add your sliced mushrooms, a few chunks of red onion (for moisture- if you dislike onion you don’t have to eat it, but I love it! ), some minced garlic, salt, pepper, chili powder, and a drizzle of balsamic vinegar. Close the foil into a pouch and bake in the oven for like 5-10 minutes. They steam up and cook and are so yummy! You could also do this on the stove but the foil eliminates the need to wash a frying pan 🙂 I’ve also used Worcestershire drizzle instead of balsamic which would give it a real steakhouse vibe. Thanks for the tip, I’ll be doing this! Love the idea of not dirtying a pan…you get me! Very cute, boyish and elegant outfit! I love your pants and scarf! Great outfit Jess! It was great seeing you at Dry Bar last week. Oh my gosh I love absolutely everything about this outfit! Especially the pearl detail on the shoes! YUM! That salad sounds delicious – thanks for sharing!